The Online Payroll Time Reporting System (OPTRS) is a subsystem of the Payroll Personnel System (PPS) that allows online entry of Payroll transactions. The operation of OPTRS is similar to that of the On-line Entry Update (OEU) in the PPS system. As with PPS, HELP screens are also available to provide on screen information and specific data element ranges and values. The OPTRS manual is designed to provide assistance in learning how to appropriately access various screens and time transactions. Users of OPTRS are employees of the University who have been granted authorized access to the information contained in the system. All system access must be authorized by appropriate local campus security administration. Current time is defined as hours worker or leave used during a monthly pay period for which the payroll has yet to be computed. Current time is reported via the on-line Roster (IDTC). Exception time is defined as the the reporting of exceptions to a regular preprogrammed payment based upon appointment and distribution data in the EDB employee record. Such exceptions may include the reporting of leave taken or overtime worked. Positive time is defined as the reporting of regular hours for pay. Payment is contingent upon the reporting of hours. For current time reporting, OPTRS displays prelisted eligible employees on IDTC. OPTRS calculates current time for fixed employees based on appointment and distribution data in the corresponding EDB record. If changes are made to the employee's time reporting status in OPTRS, the EDB must be updated to reflect the change or the employee may not be paid on time. Depending on the time actually reported (per employee timesheets, reports, etc), prelisted positive time must be either changed or confirmed via a data entry on the IDTC. The Time Collection Selection Criteria Screen IDTC is used to produce a check list or a roster. Checklist Code indicating whether the Time Report check list is to be produced. Roster Code indicating whether the Time Report Roster is to be produced. Home Department Code indicating the department or other administrative unit that has coordinating responsibility for an individual's employment and/or pay disposition. This is the broadest selection criteria. Cost Center Code indicating a subordinate unit of a departmental account. This is the most accurate selection criteria, as all Roster employee distributions have Cost Center established expressly for the purpose of Roster sort. Full Accounting Unit Code indicating the campus unit or department with which a payment expenditure account is associated. This is the narrowest selection criteria. Compute Process Code indicating whether the associated Compute Process should be selected. OPTRS provides functionality for reporting adjustments to previously reported pay. All adjustments are accessed on the Department Adjustment Transaction Menu (EDAT). The functions listed on the upper right side of the menu are used to enter transfer of payroll expense transactions. The IDTL function is not an entry/update screen -- it displays a list of the types of the transactions that have been entered through the EDAT functions. With the exception of the EDTM - Mass Transfer screen, each function is employee specific. Each screen is used to enter transactions for one employee, unlike the time roster where a screen may contain the records of several employees. Two of the functions (EDAP and EDLR) allow for data to be retrieved from the EDB in order to facilitate the completion of the transaction. Identifies the month for which the Distribution of Payroll Expense (PPP5302) that contains the applicable payroll transaction was produced. Format is YYMM (fiscal). July is the first month of the fiscal year, so to identify December of fiscal year 07/08, the ET month would be coded 0706. Identifies the page of the Distribution of Payroll Expense (PPP5302) on which the payroll transaction resides. Identifies the line of the Distribution of Payroll Expense (PPP5302) on which the payroll transaction resides. FAU from which transfer is being made. This data is extracted from the online DOPE once the ET data is completed (ie: auto fills, not completed by enterer). NOTE: FAU = Full Accounting Unit. FOAPAL is the financial system (BANNER) account structure. FAU is the Payroll account structure. FAU to which transfer is being moved. This data is manually completed by the enterer. This is an example of entering a bad code in the ET month. After you enter data on the entry function and press either Enter, F5 Update, F9 Jump, F10 Prev Func, or F11 Next Func, range/value edits are performed on the entered data. A message is issued if one of more fields contain an invalid value, and the cursor is positioned on the first field in error. You must supply a valid value before the update can proceed. There is a specific data entry screen for each type of adjustment transaction. Whenever you process an expense transfer or a one-time payment, the data input must be based on pre-approved supporting documentation. Payments on adjustments are usually over and beyond the employee’s normal salary; sometimes the transaction reduces normal pay. For these reasons, Post Authorization Notifications (PAN) notices are generated following the processing of adjustment transactions. From Inquiry Appointment/distribution (IAPP) associated with payment being made. Location for Santa Cruz is ''7"
Numbers outside this range are not associated with normal payroll transactions used by departments. Project Code is six digits. Code for a project against which salary or wage expenses are charged. H is used when the rate/amount is an hourly rate (4 decimal places). As the heading suggests, this field is used to report REGULAR time. Leave hours should be rounded up to the hundredth hour. Example: an accrual balance of 89.322332, to be paid with final wages, will be entered with the TRM DOS code as 89.33 to be paid out. Example: an accrual balance of 89.322332 that needs to be adjusted for one day of vacation usage, will be entered with the VAC DOS code and adjusted as 8.00 hours. Users of the system may have one of several roles. The Departmental Time Collection (IDTC) screen, commonly referred to as Rosters, is used to report both Exception time code, R, and Positive time code, Z, current time. IDTC is used to report time for MO (Monthly) and BW (biweekly) cycles, as well as overtime and leave usage. All employees are scheduled to be paid on either the MO or BW. MO pay designation is used primarily for compensation of exempt employees. BW pay designation is used primarily for non-exempt, or hourly, employees, paid every two weeks. Cutoff dates for each pay cycle are established for each month of the year. These cutoff dates create a time reporting window. Refer to the current year Payroll Deadline Schedule to determine when the window is open for a particular pay cycle. At the close of the time reporting window, all successfully updated transactions are extracted from a holding file and systematically processed into the payroll compute process. When time data is entered for an employee, the corresponding employee record in the EDB must support the data entered, and vice versa. Data in an employee’s EDB record determines whether an individual is listed for time input. If an employee does not appear on the roster and should have, review the appointment data on the EDB. S - Separated: The employee is listed in the roster if the separation date is within or after the pay period end date for the roster. If the employee separation date is during the pay period, regular time entry will be BLOCKED to prevent the pre-listed distribution percent from controlling the payment (see BLOCKED transactions section). The EDB distribution end date determines the actual percentage for pay for separated, exception time reported employees (time code R). Employees whose separation date is prior to the current pay period are not listed in the roster. N - Leave Without Pay: The employee is listed in the roster, if on pay status, for all or part of the pay period for the selected roster. If the employee leave date is during the pay period, regular time entry will be BLOCKED to prevent the pre-listed distribution percent from controlling the payment (see BLOCKED transactions section). Leave without pay effective dates determine the actual percentage for pay for exception time reported employees (time code R). I – Inactive: Employees with inactive status are not listed on the roster. Inactive employees do not have the minimum pay data. An inactive status may require a review of appointment/distribution data in PPS to determine if an expired appointment should have been extended. Depending on the timing, it may be possible to update the appointment in PPS before the final roster pull deadline, and populate the distribution of the late extension to the roster. Dual Employment: Distributions that are set up for dual employment (over 100%) with an overtime Description Of Service (DOS) code will not appear on the roster. See Adding Transactions (Non-Roster) below for information on how to process this type of pay. Blocked Transactions: It is very important that any changes made on the rosters are reflected on the EDB and vice versa. If the EDB is not updated with the latest appointment/distribution information before the roster window closes, the entered transaction is not supported. This results in an edit error known as a BLOCKED transaction. In some cases, failure to reconcile an employee’s record in the EDB and the roster may result in non-payment of wages due the employee. The term BLOCKED also relates to an intentional action taken by the Central Payroll Office to prevent an adjustment transaction from being processed into a scheduled compute cycle. When a transaction is blocked, the system displays a consistency edit message at the bottom of the screen and a highlighted ***BLOCKED*** message next to the distribution in question. Blocks occur when the appointment/distribution data in the EDB does not support the data reported on the roster. Appointment and/or distribution data in the EDB modified before closure of the time entry window but after time has been reported on roster will cause a block. This includes deleting distributions (ie: the transaction that was associated with the deleted distribution is blocked). This also includes actions that aren’t a direct update to appointment/distribution data, but impact the terms and conditions of employment, such as changing leave dates. Blocked transactions are not released into the compute, thus the employee is not paid for any time reported on a blocked transaction. An intentional action taken by Central Payroll to prevent an adjustment transaction from being processed into a scheduled compute cycle. How does a block occur? Time code "R" means this is an exception time reporting, paid via on-line (Roster). Notice that there is an error in the pay begin date on distribution 22. The pay begin and end dates should have been consecutive with the other distributions, but there was an error made in the year, resulting in the employee reflecting 100% from distribution 21 and 100% from distribution 22 on the June 2011 rosters. The correction is made to the Pay Begin date of distribution 22 on or before the Last Day to Update EDB to affect final Roster deadline. Changes made to the Roster must be supported with updates to the record in the EDB, and vice versa. If the time period has passed to make this adjustment (refer to the Payroll Deadline Schedule), contact the Payroll Office for assistance if it is imperative that the change be reflected on the current cycle. If the compute has already happened, or it is not imperative that the change be reflected on the current cycle, update PPS appointment/distribution, etc. with appropriate data elements once the period is open for OEU, and adjust employee’s transaction retroactively on next available compute via EDLR in the OPTRS. PPS must be updated with appropriate data elements once the period opens, and the employee paid retroactively (via OPTRS EDLR) once the change is updated. Changes in status that result in change of pay cycle (MO to BW or vice versa) are not permitted on the current pay cycle. Contact the Payroll Office for assistance. The Roster has 4 enterable fields to report leave or overtime usage. If an employee has more than 4 types of hours adjustment to report in one pay period, timekeeper must use the EDAP function to report additional leave/overtime that does not fit on the Roster line. If the employee is not listed on the Roster at all due to separation or other late adjustment the EDAP function is used to report leave adjustments. On the EDAP function: do not report any data under the first DOS section (those fields are for reporting regular (REG) type of pay only). Skip to the second set of DOS and Hr fields, which is for “overtime/leave time” to input leave usage or overtime. An employee has multiple appointments. One of the appointments is leave of absence with no pay for the entire current pay period. The system interprets leave without pay at the employee level, thus this will cause the employee to not populate on the Roster for ALL appointments. Timekeeper must use the EDAP function to report time for all paying appointments during the leave no pay period. An employee has multiple appointments. One of their appointments is on leave of absence with no pay for part of the current pay period. The system interprets leave without pay at the employee level, thus, this will cause the distributions to BLOCK on the Roster for ALL appointments. Timekeeper must use the EDAP function to report time for all paying appointments during the leave no pay period. Most undergraduate student titles are paid directly from the CruzPay application and not via the Rosters; however, there will be times when the timekeepers will need to stop a student timesheet from automatically exporting through CruzPay but reported hours still need to be paid to the employee. When this occurs, timekeeper must use the EDAP function to report time via OPTRS. Only the above scenarios identified in this section are appropriate usage of EDAP for current time reporting (that is not traditional “additional pay” as described in section: Additional Pay (Non-Roster)). Any scenarios impacting current time reporting that do not fit the scenarios detailed in this section are not appropriately paid as an EDAP transaction. Contact the Payroll Office for guidance. Press F11 to print a Check List to compare with the source documents gathered. Verify the Employee Identification Number and the name of the employee. (Non-Roster) AP: One-time work outside current appointment classification or one-time work for another unit: This type of pay is not considered a “timesheet add”. This is handled via the EDAP function, with appropriate approvals. Please see OPTRS manual Authorization on additional pay forms and Additional payment (EDAP) or One-time payment (EDFT), as appropriate. Obtain source documents; a source document is a time sheet listing hours worked and leave usage. Each source document must be signed by the employee indicating that the document represents a true accounting of hours and leave usage for the pay period. The Supervisor also signs to certify concurrence with the report. Consult payroll calendar for pay cycle and timesheet deadline. From the Main Menu, type IDTC in the Next Function field. Press ENTER. This will take you to the Time Collection Selection Criteria screen. Pay End - type the pay period end date in format MMDDYY. Pay Cycle - type MO, B1 or B2 to match pay period end date entered above. This example shows selection of Checklist by Cost Center. Only the current Roster that has been made available per the Payroll Deadline Schedule is selectable. This example is in the MO cycle. Notice that there is an MA schedule displayed as well, but note that it is for a closed compute. Once the current month’s cycles becomes active, the prior month cycles will purge off the list. The closed compute’s checklist can still be selected and viewed if desired. The method of selecting populations may be determined by each unit’s internal procedures. Please consult with applicable unit’s business process guidelines for further information. Press ENTER once criteria is set. Press F11 to print Checklist (this will print the entire checklist, not just the displayed page). Positive or Exception: Time reporting method by which the employee is to be paid from each appointment and distribution. If an employee is paid from both an exception and a positive appointment on the same pay cycle, the individual is listed twice on the Check List. Time reporting code not set at R or Z. Press F3 (previous menu function key) to return to IDTC screen. Tab to Check List field and hit space bar once to delete the "S" selection. Roster Field: Type S to select. Press ENTER. Note: The Roster or IDTC is used for reporting hours (regular and/or exceptions) to be reported for employees associated with a current monthly or monthly arrears pay cycle. Depending on the number of employees, the Roster may be several screen pages long. If there is more than one page, the current page is listed in the upper right corner as Page x of x. POSITIVE TIME REPORTING: Confirm, add to, or change information displayed to ensure the employee is paid. OK? is the pay confirmation indicator. The system derives the indicator 'Y' whenever time is added or changed. If no changes are made, type 'Y' to confirm the pre-listed information is correct in order to ensure payment (for Positive Pay employees only). For hourly and salaried employees with Fixed Appointments, this will be required because the system estimates the time to be paid and you may not be entering/changing that information. TOTAL TIME is system derived if the appointment in EDB is "fixed". The system estimates the number of hours for which payment will be rendered based on the rate and time information entered in the employee's EDB record. If Total Time estimate is incorrect, replace it with the new value. If Total Time estimate is correct, enter a 'Y' in the OK? column. This will insure payment if no other changes/adds are made to Positive pay. If Total Time is blank, the employee has a variable appointment in the EDB. You must enter the number of hours. Note: enter hourly time with 2 decimals or input the hours followed by the decimal and tab to the next field and the system will automatically 00 fill after the decimal. For instance; input 20 hours as 20. The system will enter 020.00. For 10 ½ hours enter 10.5 and the system will zero fill to read 010.50 hours. For monthly percentage paid employees, if you want to pay 20% time, enter .2 and the system will zero fill to read 0.2000 (The A/H indicator must match the %/H indicator. A with % and H with H). OVERTIME/LEAVE DOS are codes indicating that the payment is rendered for paid leave time or overtime. Verify the data on the screen against the source document for each employee on the page. Make sure you have modified all data as necessary. Press ENTER to perform Range/Value edits. Range/Value edits and Consistency edits are displayed on the command line at the bottom of the page. Resolve any Range/Value edits as necessary. If F6-Nxt Msg appears in the screen footer, press F6 to see additional messages. You must resolve any "REJECT" edit conditions before you can update the transaction holding file. You may continue the update through a "Warning" message. CAUTION: Do not disregard the Warning messages. In this example, vacation and sick leave usage has been added. In this example, the timekeeper has selected for payment: Guy Abya and Ee Anhour. Early Bird has not been selected for payment and has had no hours entered, so will not receive payment. Press F5 Update to complete the page update. You must update a page before you can continue to the next page. Once the page has updated, make sure all Positive employees on the page now display a 'Y' in the OK? field to indicate payment or change. To proceed to the next Roster page, press F8. To jump to a certain employee, tab down to the Name field and type in the employee's last name (or first letter of their last name). Press ENTER. The system will jump to the page with the requested employee's name or the employee with the closest name (by alpha). EXCEPTION TIME REPORTING: Add to or change information displayed as needed. Note: depending on the rate and time information entered in the employee's EDB record pay distribution, OPTRS will estimate time to be paid (for fixed appointments) and indicate this on the Time Input Roster. When reporting exception time, it is not necessary to confirm the information displayed. If no action is taken to change or delete information, the employee is paid for current time indicated (the roster will not display data for employees with time reporting codes of 'E' or 'N'). OK? is the pay confirmation indicator. The system derives the indicator 'Y' whenever time is added or changed. For description of service codes that do not require time, you may change the dollar amount if necessary. TOTAL TIME is system derived if the appointment in EDB is "fixed". An estimated number of hours for which payment will be rendered populates this field based on the rate and time information entered in the employee's EDB record. If Total Time estimate is incorrect, replace it with the new value. If no changes are made on the screen, no confirmation entry is required. Employee will be paid based upon information on the EDB distribution. For monthly percentage paid employees, if you want to pay 20% time, enter .2 and the system will zero fill to read 0.2000 (The A/H indicator must match the %/H indicator. A with % is the appropriate coding for MO and H with H should not be coded on an MO appointment as that indicates hourly rate – which must be BW/variable). Verify the data on the screen against the source document for each employee on the page. Make sure you have changed or deleted all data as necessary. In this example, the timekeeper has entered a “Y” for E. Amonth and Samu Slug because there are changes or additions to their prelisted time. G. Partime is not selected because there are no changes and the timekeeper wants pay to be issued exactly as prelisted. Once the page has updated, make sure all employees with changes now display a 'Y' in the OK? field to indicate changes made to Exception paid employees. To proceed to the next Roster page, press F8-Forward. Press F3 (Previous menu function key) to return to the IDTC screen. Tab to Check List field and type in S to select. Space through the S to deselect the Roster. Press ENTER. Verify the Check List. Make sure all Positive paid employees that you want to be paid have a 'Y' indicator in the Time Entered field. Exception paid employees will have a 'Y' only if time was entered or changed. A 'Y' is not required for payment of Exception paid employees. Note: No PAN is generated for current time reporting. Prior to performing the payroll adjustments for an employee participating in ERIT, you must obtain the appropriate approvals and forms required, and perform any necessary OEU outlined in PPS User Manual section 4.15, ERIT. The procedures described in this section are for processing payroll adjustments applicable to staff or academic employees who elected voluntary reduction in time through the ERIT Program. The ERIT Program is effective July 1, 2011 through June 30, 2012. For UCSC ERIT Program Guidelines, Forms, Questions and Answers, please refer to the HR Service Teams Toolkit and PPS User Manual Section 4.15, ERIT. ERIT adjustments are completed via OPTRS using the EDLR function. In each of these examples, the employee has inadvertently varied from the stated % time reduction approved on their approved ERIT Contract, and has worked contrary to the agreed upon ERIT reduction. Adjustments to ERIT percentages should be rare, as the employee has contracted for a set percentage reduction, and should not be varying from that agreement. The effect of the above transactions on John Reduction's gross pay was: $2,626.20. In reviewing John Reduction's time and attendance records, the unit discovers that the employee has inadvertently worked, or is on pay status an additional 2%, i.e., employee has worked (or is on pay status) 92%, rather than the contracted 90%. Note: The REG time is not adjusted. It remains at 1.0000 (100%). Only the ERT is adjusted. The effect of the above transactions resulted in Jane Porter’s gross pay being: $2,378.94. In reviewing Jane Porter’s time and attendance records, the unit discovers that the employee has inadvertently worked, or is on pay status an additional 5%, i.e. employee has worked (or was on pay status) 85%, rather than the contracted 80%. Note: Neither the REG or SDF time is adjusted. Both remain at 1.0000 (100%) . Only the ERT and ERS are adjusted. In reviewing Patrick Stewart’s time and attendance records, the unit discovers that the employee has inadvertently worked, or is on pay status an additional 10 hours, i.e., employee has worked (or was on pay status) 10 hours more than the contracted 10% reduction. Note: The REG time is not adjusted. It remains at 160.00 hours. Only the ERT is adjusted. In reviewing Sally Stipend’s time and attendance records, the unit discovers that the employee has inadvertently worked, or is on pay status an additional 5%, i.e. employee worked (or was on pay status) 85%, rather than the contracted 80%. Note: The REG and SAS time are not adjusted. They remain at 1.0000 (100%) . Only the ERT and ERB are adjusted. In reviewing Jane’s time and attendance records, the unit discovers that the employee has inadvertently worked, or is on pay status 5% less, i.e. employee has worked (or was on pay status) 75%, rather than the contracted 80%. Note: The REG and SDF time is not adjusted. It remains at 1.0000 (100%) . Only the ERT and ERS are adjusted. Payments made under the Staff Award Program only require approval from the department generating the payment. Examples If employee title code and payment title code represent different populations, then all applicable Human Resources departments must approve the payment. A graduate student is paid an additional payment using an undergraduate title code. Both Graduate Division and Career Center approve the payment. A staff employee is paid an additional payment using an academic title code. Both Staff Human Resources and Academic Human Resources approve the payment. The EDAP screen is used to schedule pay NOT associated with the employee’s ongoing appointment payments. The EDAP is used to make rated payments (in the form of time worked at specified rates). The determination of whether a payment should be 'flat dollar' or 'rated' is made in conjunction with the appropriate Human Resources Office (Staff, Academic, Graduate Division, Career Center). For instance, a payment of 5.00 hours at a rate of $10.0000/hr is NOT the same as a $50.00 by agreement (BYA) payment. One-time work outside current appointment classification. The EDAP accommodates both rated and flat amount dollar payments. Consult Payroll calendar for pay cycle and OPTRS deadline. Pay Cycle: Input "MO", "B1" or "B2"
To facilitate data entry, first attempt to load transaction data in the screen fields by retrieving employee distribution data from EDB. This allows you to view the employee's appointment/distribution information. Per End: Input date in the DDMMYY format. This is the pay period in which the pay was earned and is independent of the pay period end date and pay cycle. The scheduling of this transaction determines the check date. For flat rated or By-Agreement distributions, no time is associated with the payment. If you have retrieved from a distribution that was already flat rated, the time field will be blank. Note: This is the pay period in which the pay was earned and is independent of the pay period end date and pay cycle. The scheduling of this transaction determines the check date. Pay Cycle: Input "M" for monthly or "B"" for biweekly. Tab through the E:, T: and D: fields. This will take you to the PAN function. This screen is used to schedule pay not associated with the employee’s ongoing appointment payments. The EDFT is used to make flat rated payments ONLY. The determination of whether a payment should be flat dollar or rated is made in conjunction with the appropriate Human Resources Office (Staff, Academic, Graduate Division, or Career Center). Note: A payment of 5.00 hours at a rate of $10.0000/hr is NOT the same as a $50.00 BYA payment. If you wish to make a rated payment that is not associated with the employee’s ongoing appointment, you must use the EDAP function. Tab to location code and input "7"
This screen is the only Adjustment Transaction screen on which more than one type of transaction can be processed simultaneously for an employee. You can process both a late time payment and a pay reduction for the same employee via this screen. To schedule payment/s for time not previously reported for a prior or current pay period. When paying late time, a corresponding distribution is usually present in the EDB employee record. When the distribution number is present (in inquiry) you must identify this distribution number when preparing the adjustment transaction. To reduce the amount of a regular time payment, overtime, or a reported amount in a prior or current pay period. Pay reductions are usually processed to recover overpaid time from a current or prior pay. Processing a pay reduction does NOT require that a corresponding distribution is present in the employee record. Recovery of overpaid time may be for a period which has since passed its ending date. Note: If the distribution is still in the employee record, entering it provides for easier preparation of the transaction and a better audit trail for future reference. Note: Successful scheduling and update of an RX transaction does not guarantee it will be processed in the targeted payroll compute cycle. There must be equal or greater gross pay in the same compute cycle against which the reduction can be processed. Additional Pay (EDLR) screen will display. Pay Cy(cle): space out the "?" Beneath the C on the left side of the screen, next to the Seq field, input "R"
In the time field, input the amount of time. DOS: and Time: fields following the H%: are used if you are paying overtime or leave time in addition to regular time. When an employee transfers without a break in service, for one (1) year or more, from one UC campus to another, the action is termed an Interlocation Transfer. OUTGOING interlocation transfers are employees transferring from the Santa Cruz campus to another location. INCOMING interlocation transfers are employees transferring to the Santa Cruz campus from another location. Currently, most UC campuses are not set up to do an electronic transfer of EDB records. Hence, special procedures must be followed to ensure that, in terms of taxes, benefits and entitlements, the process of transferring to a new position at another campus appears seamless for the employee. To insure a seamless transfer, it is important to alert both the Payroll Office and the Benefits Office as soon as you become aware of an incoming or outgoing transfer so that efforts with the other campus can be coordinated. An Outgoing Permanent Transfer is an employee, currently employed by UCSC, who terminates his/her employment and accepts a position at a different UC location (campus, lab or medical center), without a break in service (i.e., the employee separates from UCSC on 6/30/10 and begins service at UCB on 7/1/10). Please alert the Payroll Office as soon as you are made aware that an employee is transferring from UCSC to another UC location. Follow the instructions as outlined in the PPS Manual: Section 4.6 Interlocation Transfers. Note: No final check will be prepared for the transfer employee and any leave hours will be transferred to the location to which the employee is transferring. Complete the Interlocation Outgoing Memo and route it to the Payroll Office immediately upon completion of the OEU separation action. Note: You must send the Interlocation Outgoing Memo to the Payroll Office by the last day of the OEU open period - see column 8 of the Payroll Deadline Schedule. An Incoming Permanent Transfer is an employee, currently employed by another UC location (campus, lab or medical center), who terminates his/her employment and accepts a position at UCSC without a break in service (ie, the employee separates from UCSC on 4/30/10 and begins service at UCB on 5/1/10). Please alert the Payroll Office as soon as you are aware that the employee you are hiring at UCSC is transferring from another UC location. The location at which the employee is currently employed needs to provide you with verification of separation showing no break in service. Note: no final check will be prepared for the transfer employee and any leave hours will be transferred to UCSC. Complete the Interlocation Incoming Memo and route it to the Payroll Office immediately upon completion of the OEU hire action. Note: you must send the Interlocation Incoming Memo to the Payroll Office by the last day of the OEU open period - see column 8 of the Payroll Deadline Schedule. Interlocation payroll expense is transferred between campuses by use of financial and budgetary transactions. Interlocation payments occur between the campus locations, labs, and Office of the President. The initial payment of interlocation actions requires various combinations of forms, depending on the length and nature of the payment. Approvals from both home and host locations are required in all instances before payment can be made. Interlocation payroll expense and the associated benefits are charged to interlocation suspense accounts and transferred on a monthly basis to the financial control account of the appropriate location. A temporary interlocation transfer occurs when an employee at one location (home location) accepts a position at another location (host location) for a period of one year or less, with the intent to return to work at the home location at the end of this period. Note: For temporary interlocation transfers, the home location maintains the employee in their data base and there is no hire action completed at Santa Cruz. Multilocation appointments occur when an employee is employed by two or more locations simultaneously. The location at which the employee holds his/her primary employment is the home location. The location which employs the employee on an additional basis is the host location. Multilocation appointments may be of short or long duration. Completed and approved forms received in the Payroll Office by the 15th of the month will be paid on the next month's payroll for current or retro pay periods. Future pay will be scheduled per the pay period end date. If the payment would normally be set up as an appointment on PPS, use the Multilocation/Temporary Appointment - UPAY 560-T (PDF) form. A one-time intercampus payment is required when an employee at one campus (home campus) is eligible to receive a payment originating from another campus (host campus) for an event or service of a short duration. A one-time payment is paid from the Home campus. Completed and approved forms received in the Payroll Office by the 15th of the month will be paid on the next MO payroll for current or retro pay periods. Future pay will be scheduled per the pay period end date. Once a transaction is completely updated, it may be copied. The copied transaction may then be altered as needed. The copy function is useful for retro transactions – update LX transaction, then copy that transaction and alter the new transaction to be your RX transaction. This saves keying time and keying errors (if updated properly). Use caution – make sure all fields that should be changed ARE changed on the copied transaction, or the result will be bad pay. Copy can only be used to copy transactions in the same function, on the same cycle for the same employee. Identify the transaction to be copied. Notice the transaction does not appear to have changed position on the screen but the Seq(uence Number): is now 0003. EDLR is a two transaction function and the system does not presume to know the data the user wants to update, so the system blanks out the transaction field (TR:) and issues the above message. What you now see on the screen is the Copied Transaction. The copied transaction will always appear by itself on the first line of the page. The original transaction (in this example, sequence 0002), will appear to be gone but will reappear on the screen once the transaction is completed. Change data for the new transaction. In this example the employee is being paid a retroactive increase. We first updated the LX transaction (sequence 0002), then copied it (sequence 0003). TR: Input "RX" in the field. Change rate from the copied rate ($4,116.67) to the rate we want to RX on this new transaction ($4,000.00). Note: *This is an RX transaction: we are backing out what the employee was already paid for time worked. Notice that the P0601 Field out of range or illegal value message is now gone. Note: Any other messages that result from this transaction will appear on the command line at the bottom of the page in place of the previous message. Notice Seq(uence): 00002 has reappeared. Note: Once a transaction has been updated it cannot be altered. See Correcting Mistakes Before the Compute for more details. Once a transaction has been updated (F-5, UPDATE COMPLETE) it cannot be altered by the campus unit. Hence, the campus unit needs to be diligent in reviewing the data for correctness prior to committing the final F-5 update. When requesting a Change, the preferred method is to cut and paste the entire sequence into the body of your email. Requests to change these fields should be “Delete” requests and will require HR to reenter the transaction with the correct information once the delete is confirmed. Requests to change or delete data the day of the compute will be evaulated on a case-by-case basis. The Payroll Office will respond within 48 hours of receiving the request OR prior to the affected compute, whichever comes first. The Distribution of Payroll Expense Report (DOPE) provides a detail of charges for the monthly General Ledger. The DOPE is produced after the last compute of the month, during month-end processing. HR Control Units access the DOPE each month after month-end via the Data Warehouse, to reconcile their departmental payroll, i.e. compare input (payroll transactions they entered via OPTRS and UPAY644E, Time Reporting Worksheets) to the resulting Distribution of Payroll Expense – PPP5302). Departments are responsible for performing a monthly reconciliation of total salaries paid, as shown on the Distribution of Payroll Expense Report, to total salaries approved pursuant to departmental payroll/personnel records" (See: BFB IA-101, Internal Control Standards). Expense transfer transactions generated from Payroll Expenditure Transfers (EDTS and EDTM transactions, aka "TOPE"). In addition, this report provides totals for each of the employee benefit columns for each Full Accounting Unit (FAU). Employee Name: Listed alphabetically by Last Name, First Name within sub account. The employee name appears only on the initial line. There may be more than one detail line which applies to the employee within a sub account. Title Code: The four-digit numerical identifier of the individual's title from the payroll transaction. Period End Date: Identifies the pay period (the month) of the transaction in MMDDYY format. The pay period "end date" is always the last day of the pay period. DOS: The Description of Service code; identifies the type of pay (regular, overtime, etc.). Time: Time is expressed as either hours or a percentage. Monthly rated employees are paid as a percentage. The percentage paid is carried out to 4 decimal places and is followed by a percent (%) indicator. Hourly rated employees are paid in hours. The hours paid are carried out to 2 decimal places and are followed by an H indicator. Pay Rate: The individual’s rate of pay (hourly or monthly) from the transaction. Gross Earnings: The gross amount of the transaction; or, the salary expense for the payment of an adjustment. Normally, rate multiplied by time equals gross earnings. For a by-agreement type payment, it will be a flat amount. Up to this point, the DOPE report is reporting salary costs. Starting from the right of plan code, the report is reporting employer benefit costs. Retirement contributions Matching Contrib NFSS/SMSP: The amount of the employer contribution: UCRP = UC Retirement Plan, currently 14% FSS = faculty summer salary, currently 3% SMSP = senior management severance pay. Dent/Hlth/Vis/Opeb: The employer contributions to dental, health, and/or vision insurance, and other post-employment benefits. UI / GSH: UI = assessment for unemployment insurance; GSH = assessment for grad student health insurance (not presently used by Santa Cruz). WC/ESP/GSPF2: WC = assessment for Workers Compensation; ESP = assessment for Employee Support Program; GSPF2 = Grad student assessment program (not presently used by Santa Cruz). Life/UCDI/GSFR: Life = employer-paid life insurance premium paid by UC; UCDI = employer-paid disability insurance paid by UC; GSFR = Grad student assessment program (not presently used by Santa Cruz). IAP/Leave: IAP = Incentive Award Program assessment; Leave = Vacation Leave accrual assessment. Total Benefits: The total of employer-paid benefits for the transaction; from the Retirement matching contribution column through the IAP/Leave column. Current Month: Wages and benefits for the current month being reported. Prior Period Adjustments: Wages, benefits and adjustments to wages and benefits for any pay period prior to those within the month being reported. Retirement: Appointed 50% time or more for one year or more, have an indefinite or tenured appointment, or have a budgetary ending date. Summer Salary retirement contribution: Appointed to an academic title with an authorized summer salary appointment. SMSP: Be appointed to a senior management title with an appointment that is eligible for senior management severance pay contributions. IAP Offset: Be appointed to a staff (non-academic) title (IAP is a staff human resources incentive award program). OASDI / Medicare: Participating in the Coordinated Retirement Plan (coordinated with social security); or, have an appointment that qualifies for the Safe Harbor plan (DCP and Medicare, but not OASDI). Dental: Employee must have a Benefits Eligibility Level Indicator (BELI code) of 1. Core Medical: Must have a BELI code of 1, 2, 3 or 4. Vision: Must have a BELI code of 1. OPEB: Be a participant in a university retirement plan (U). UI: Be appointed to a non-student appointment. Workers Comp: All university employment payments are eligible for the workers comp assessment except for: perquisites by deduction, off-campus work-study employment, out-of-state employment, and certain types of lump-sum payments. Employee Support Program: Same criteria as workers compensation. UC-Paid Life Insurance: Appointed 50% or more for a year or more and participating in a university retirement plan. UC-Paid Disability Insurance: Appointed 50% or more for a year or more and participating in a university retirement plan. IAP Assessment: Appointed to a staff (non-academic) appointment. (The IAP program is a Staff Human Resources program). Using Infoview, review the Distribution of Payroll Expense (DOPE) Report each month and reconcile per BFB IA-101, Internal Control Standards. Determine if a transfer is needed based on divisional/unit knowledge of fund source and account balances. Determine amount to be transferred and where it should be transferred to. Ensure that you have authorization to make the transfer, and if not, obtain appropriate authorization. Using InfoView, locate the single transfer or mass transfer All Employees-Transfer of Payroll Expense Mass Transfers-Monthly, All Employees-Transfer of Payroll Expense Single Transfer by Empl ID-Monthly or All Employees-Transfer of Payroll Expense Single Transfer by Org-Fund-Monthly report form from the Certified Reports section. If you are already using the DOPE report, the single and mass transfer forms are included in this report on separate tabs. If you are not already in the DOPE, click on Corporate Categories, then PPS, then Salary or Payment to access the Transfer of Payroll Expense Reports. The InfoView form is required because it automatically incorporates the appropriate information from the Distribution of Payroll Expense (DOPE) Report. Forms can be saved to Excel for electronic key entry of transfer information. Single transfer form: All Employees-Transfer of Payroll Expense Single Transfer by Empl ID-Monthly or All Employees-Transfer of Payroll Expense Single Transfer by Org-Fund-Monthly Use this form to transfer a single transaction line on the DOPE. Mass transfer form: All Employees-Transfer of Payroll Expense Mass Transfers-Monthly Use this form to transfer consecutive line transactions on the DOPE. The Mass Transfer form in Business Objects/InfoView will automatically group consecutive lines for you. Complete the Department, Dept. Contact, and Telephone Extension. For all transfers, a Reason Code (RC) must be provided to explain why the transfer is necessary. If the transfer is over 120 days old, please explain what action is being taken to prevent transfers from happening in the future. Note: Infoview does not currently populate the COST CENTER field. This field must be handwritten in after the report is generated. It is the responsibility of the division/unit preparer to ensure they have appropriate approval to request the transfer. By completing and submitting the TOPE request form, the preparer is verifying that appropriate authorization has been obtained. The Post Authorization Notification (PAN) review is a means for informing a designated individual (i.e., a reviewer) that an update to an employee record has occurred. The PAN reviewer’s responsibility is to ensure the PPS action was input accurately and completely. Depending on the separation of control within each division/unit, who receives the PAN for transfers of payroll expense, will vary. If PAN routing for expense transfers needs to be reviewed or updated, please contact the Payroll Personnel System (PPS) Office. An individual division/unit is the "office of record" for documentation related to transfers of payroll expense.  UCSC retains or destroys administrative records in accordance with the University Records Disposition Schedules Manual, which incorporates federal record retention requirements. TOPE documentation is retained for 5 years from the date of last transaction, subject to contract and grant requirements. If you manage funds at UCSC, you need to know when you can process a Transfer of Payroll Expense. Authorized expense transfers may take place only under certain conditions. Note: A fund manager's responsibilities include reviewing and approving Financial Information System (FIS) transactions to make sure they are prepared accurately, completely, and in compliance with UC policies, federal guidelines, and contract-specific guidelines. Documentation: Individual divisions/units serve as the "office of record" for documenting transfers of payroll expense. The originating division/unit must maintain all documentation, justifications, and approvals. Separation of control: University policy and OMB Circular A-21 require that no one person has complete control over all aspects of a financial transaction. Want to become a more efficient financial administrator? Learn how to avoid Transfers of Payroll Expense (TOPE) and make your job easier with the following tips. Reconcile and review the Distribution of Payroll Expense (DOPE) report ledgers promptly to ensure that charges are accurate, complete and applicable. Monitor budgets and compare them to actual DOPEs and ledger charges and pending and projected expenses. This is a divisional/unit person who reviews the DOPE, completes the OPTRS Transfer Request Form and forwards to the designated enterer. This is a divisional/unit person who reviews the DOPE and enters their own TOPE into OPTRS. This is either a divisional/unit person or Staff HR* person who enters the TOPE into OPTRS. The enterer must use the standardized TOPE form(s) in order to process a TOPE request. This is either a divisional/unit person or Staff HR person who reviews the OPTRS entry. Mass Payroll Expense Transfer (EDTM) for instruction on entering transfer transactions in OPTRS. For participating divisions/units, TOPE forms can be faxed or emailed to your HR Service Team Representative on or before the 15th of the month. Staff HR will process all TOPE forms submitted by the 15th. All TOPE requests submitted after the 15th will be processed as time and other deadlines allow. * Submitting TOPE requests to SHR - This is a re-designed service for processing transfers for divisions/units with special needs or limited administrative capacity. To find out if your division/unit currently receives this service, please contact your Staff HR Associate Partner. Transfer single lines from one Payroll Account/Fund/Sub (FAU) to another Payroll Account/Fund/Sub (FAU). Note: Do not include lines that do not have dollars associated with them in your transfer. The system does not recognize these lines and your transfer will not process. Transfer 100% of charge or credit on line, or a portion of charge or credit. Payroll recommends that you consider using the EDTM first when completing a transfer. Any grouping of two or more lines on a mass transfer that you can do will save you time. Any lines that do not fit the parameters of the EDTM and/or are not consecutive should be input on this EDTS, single transfer. Pay Cycle: Input "MO", "B1" or "B2". This is the pay cycle in which the transaction will be processed. Note: Verify ID, Name, Pay End Date, Check Date and Pay Cycle before continuing. ET MO(nth): Copy the Expense Transfer month (ET MO:) from the PPP5302 report - e.g. "0308" - from the upper right-hand corner. The ET Line: is two numeric digits - NO alpha. Note: If you have made any errors in your ET data, the system will issue an edit message: "P0171 No match on PPP5302 data entered"
Note: The Cost Center field does not pass on to the General Ledger; no transfers should be initiated based on Cost Center. Note: Once the transaction has been updated, it cannot be altered. Any errors that are discovered at this point must be corrected after the PPP5302 is generated reflecting this transfer and as ADDITIONAL transfer must be entered using the new ET data. The transaction cannot be deleted or blocked after the final update (F5), by the Payroll Office. Transfer consecutive blocks of lines within the same Payroll Account/Fund/Sub (FAU), etc. Note: Do not include lines that do not have dollars associated with them in your transfer. The system does not recognize these lines and your transfer will not process. Fastest and cleanest way to transfer two or more consecutive lines. Notice that benefits are not coded, but they will follow gross automatically. Payroll recommends that you consider using the EDTM first when completing a transfer. Any grouping of two or more lines on a mass transfer that you can do will save you time. Any lines that do not fit the parameters of the EDTM and/or are not consecutive should be entered on the EDTS, single transfer. Note: Verify Pay End Date, Check Date and Pay Cycle before continuing. Refer to the EDTS and EDTM Overview Presentation for more detail. Make sure you are copying the ET page which follows the PG and not the number following the Page No. Note: The Cost Center field does not passed on to the General Ledger; no transfers should be initiated based on Cost Center. Refer to the Cost Center Presentation for more detail. Note: the transaction cannot be deleted or blocked after the final update (F5), by the Payroll Office. The procedures described in this section are for processing payroll adjustments for employees that elected for phased retirement through the Phased Retirement Program. The Phased Retirement Program is effective January 1, 2012 through December 31, 2014. For UCSC Phased Retirement Program Guidelines, FAQs and Forms, please refer to the PPS User Manual section: 6.22 Phased Retirement Program (PRP). Phased Retirement adjustments are completed via OPTRS using the EDLR function. In each of these examples, the employee has inadvertently varied from the stated % time reduction approved on their approved Phased Retirement Contract, and has worked contrary to the agreed upon Phased Retirement reduction. Adjustments to Phased Retirement percentages should be rare, as the employee has contracted for a set percentage reduction, and should not be varying from that agreement. The effect of the above transactions on John Retiree's gross pay was: $2,626.20. In reviewing John Retiree's time and attendance records, the unit discovers that the employee has inadvertently worked, or is on pay status an additional 2%, i.e., employee has worked (or is on pay status) 92%, rather than the contracted 90%. Note: The REG time is not adjusted. It remains at 1.0000 (100%). Only the RPT is adjusted. Note: Neither the REG or SDF time is adjusted. Both remain at 1.0000 (100%) . Only the RPT and RPS are adjusted. Note: The REG time is not adjusted. It remains at 160.00 hours. Only the RPT is adjusted. Note: The REG and SAS time are not adjusted. They remain at 1.0000 (100%) . Only the RPT and RPB are adjusted. Note: The REG and SDF time is not adjusted. It remains at 1.0000 (100%) . Only the RPT and RPS are adjusted.